There’s no place safer to leave your money than at a police station, right? In the past, stores and businesses used the police station as a week-end bank. Some business places would have the cash pile up on a Saturday night. Even though they might have safes in their stores, some store managers felt a police station was a more reliable spot to keep their money. After all, stores were broken into, but who could imagine a police station being robbed? And that was sound reasoning, right up until October 29, 1960. Desk Constable Norm McLeod was on duty at 10 o’clock that night when Ron May, manager of the Co-op retail store, dropped off a fishing tackle box for safekeeping. He explained it contained over $25,000 in cash and cheques, he said- although a later audit proved there was approximately $44,000 in receipts. This was a lot of money – especially in those days when you could buy a new house for one-quarter of that amount. It drew questions from police members as to the wisdom of accepting such a large “deposit” and leaving it sit under the front counter. There was some joking about it as well. Constable Lance Mayer, for example, commented in a conversation to Bill Plotsky- who was the office duty constable from midnight to 8:00 a.m. – that it was more money than a policeman could make in 10 years. Plotsky suggested Mayor take it with him and they would split it later. Mayer, of course, thought it was said in a jest. During the early hours of Sunday morning, Constables Ron Douglas, Ken Hall and Henry Jeske, while on lunch break, joked with Plotsky how easy it would be to rob the station with masks on, since Halloween was approaching. Douglas suggested Plotsky turn around and he would hit him on the head. Plotsky said that for that kind of money, a bump on the head might be worth it. Meanwhile, during the conversation, Jeske, while examining the box in the presence of others, inadvertently opened it. After looking inside, it was relocked and placed under the counter. Cst. Jim Gehring, coming on duty at 8:00 a.m. the same morning, discussed with Plotsky how easy it would be to steal the money. Plotsky asked him if he would be interested in taking it and Gehring replied it could be so. The following morning, Monday, October 31, just after midnight Cst. Ralph Raw walked into the office and found Plotsky lying on the floor behind the desk. He appreared to be unconscious and there was a slight contusion on the head behind the ear. Cst. Raw shook Plotsky to revive him. On awakening Plotsky told him he has been robbed. Raw immediately contacted Sgt. Cairney by radio. Plotsky repeated to Sgt. Cairney, that after taking a routine telephone report from the watchman at the Goodyear plant at 12:30 a.m., two masked men entered the office. The taller of the two, he said, was brandishing a snub nose revolver, probably a .38 calibre. The tall man came to the front of the desk and his shorter companion went into the main office. Plotsky asked what was going on here and was told to turn around. He heard the click of the revolver, as if it was being cocked, so turned around. He could not see the shorter man in the main office nor remember being struck. The next thing he remembered was Cst. Raw shaking him. He went on to explain he never had a chance to offer any resistance as everything happened so fast. He described the clothing and masks they were wearing and that the largest of the two did the talking, speaking in a muffled voice. Sgt. Cairney listened patiently as Plotsky told his story of being robbed. He then drove him to the hospital, leaving him there to have his wound attended to. He did not, for a moment, accept the scenario that Plotsky was telling him. Being an experienced police officer, he had noted the dust stripes on Plotsky’s pants off the corrugated rubber mat ran parallel and even up to the pant leg, as though he had deliberately lain down rather than fallen to the floor. The contusion on his head appeared to have been caused by a sharp instrument rather than a blow. When interviewed later by Chief Bull, Plotsky became indignant when it was suggested his story was not believed. He told Chief Bull he'd have to prove it. The cat caught him 13 months after the incident when Cst. Gehring confessed and surrendered $4,290 to Calgary Police Officers, Det/Sgt. Gordon Gilkes and Sgt. A.R. Roberts. They were requested by Chief Bull to assist in the interrogation after it was suspected Gehring had been Plotsky’s accomplice. When he got outside with the box, he didn’t know what to do with it. He was scared stiff and drove around for awhile, then eventually drove to an area near the North West Chemical Plant, took some money and buried the box. A week later he told Plotsky where the box was buried. He had taken some money and Plotsky was offered the rest. There had been no prior arrangement to take the box, Gehring claimed, nor had he made any prior arrangement with Plotsky. He did not even know what story Plotsky was going to tell. Misleading information contributed to prolonging the earlier conclusion of the investigation. Many members suspected Gehring was Plotsky’s accomplice but thought he had been eliminated by line up and polygraph examination. A line up was held which included Gehring and all members of the Department. Guisseppe Toffolutti, who has been filling out the accident form and had seen a person walk into the back office just prior to the robbery viewed the lineup. The intent was to clear members of suspicion. Toffolutti, after viewing the line-up, said he knew all the persons as policemen but did not recognize or know the person who entered the station. It was also believed Gehring had taken and passed a polygraph test, which all members voluntarily submitted to. The examination was conducted by Richard Walsh, the Sheriff of Flathead County, Montana, and a graduate examiner of the FBI. The polygraph, at the time, was in its infant stages of development. Some members were upset after submitting to the test, feeling they were asked too many questions of a personal nature unrelated to the theft. The test was successful in that it indicated the members who had looked inside the box and had knowledge they were not disclosing. Gehring, who was on a course in Calgary, feigned illness at the time of his testing by continually coughing. Unknown to most members he had not been examined. It was nearly a year later when the examiner returned to retest members who they felt were withholding information. It was the results of the test given Gehring that convinced the examiner Gehring had knowledge of the robbery. The intensified interview of Gehring followed which resulted in his subsequent confession to the Calgary Police Officers. 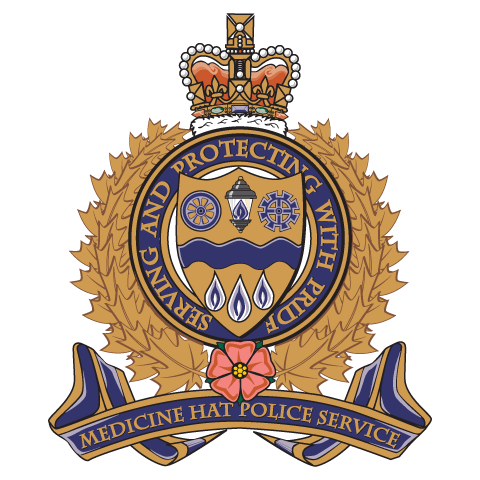 Both Gehring and Plotsky were charged with the theft in connection with the disappearance of the $44,000 in cash and cheques from the Police Station. Gehring plead guilty before W.J.C Kirby and was sentenced to one year imprisonment. Plotsky plead not guilty and Justice Kirby heard his case. Plotsky emphatically denied any knowledge of the theft throughout his trial. Justice Kirby did not accept his evidence as being factual. He sentenced Plotsky to three years. The Crown appealed both sentences. The Appellate Division of the Supreme Court of Alberta increased Plotsky’s sentence to five years and Gehring’s to three years.